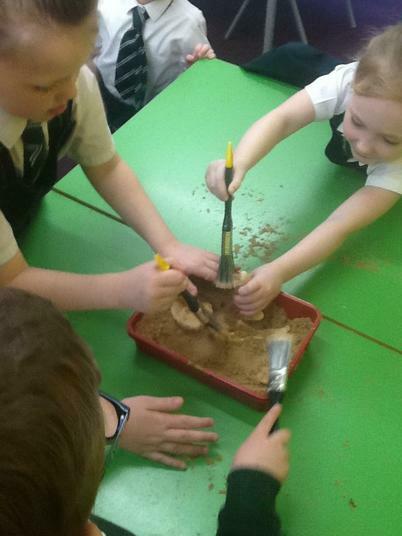 This term we are going to become paleontologist's! What is it like to be a fossil hunter? How do you identify fossils? How are fossils formed? Who are the real fossil hunters? We are going to discover the answers to these questions this term. 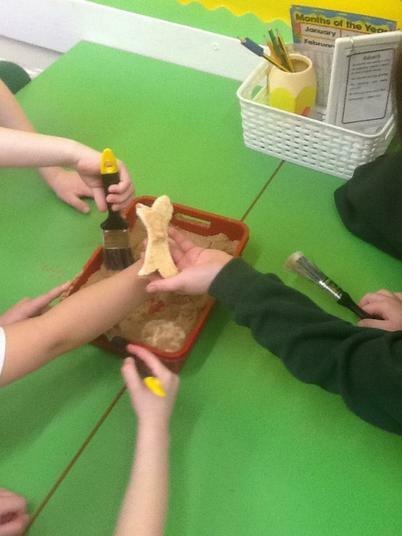 We are going to learn about Mary Anning, make fossils and dance like dinosaurs! 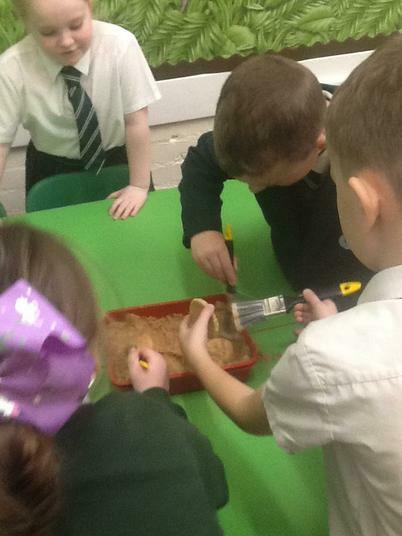 We are going to carry out a fossil hunting expedition and find out more about dinosaurs. This term we will also be looking at the world of amphibians and reptiles. We are going to investigate these amazing creatures and their habitats. 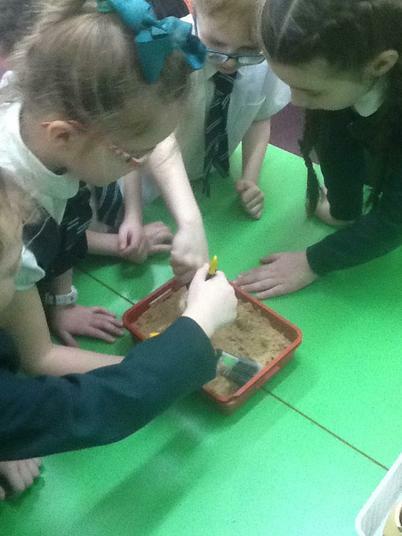 This week the children took part in a `dig´ where they looked for fossils. 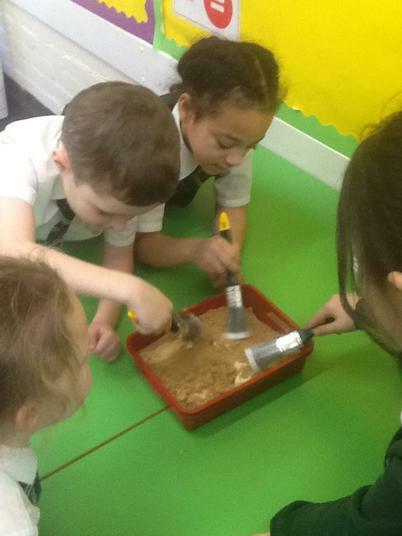 They used brushes to uncover the different fossils and discuss with their group what animal, insect or plant it might be from. Book bags need to be in school everyday (containing your child's reading book and diary). Reading is integral to your child's development. Please ensure that you are reading with your child daily. Stay and learn is every Thursday morning at 9am. Please join us to share your child's achievements and find out what your child has been learning throughout the week. Children enjoy PE on a Thursday morning so please ensure children have a full labelled PE kit in school.